We are the women of St. Agnes Parish. We are the daughters, mothers, wives, and widows who desire to grow closer to Christ and one another through serving the Parish. 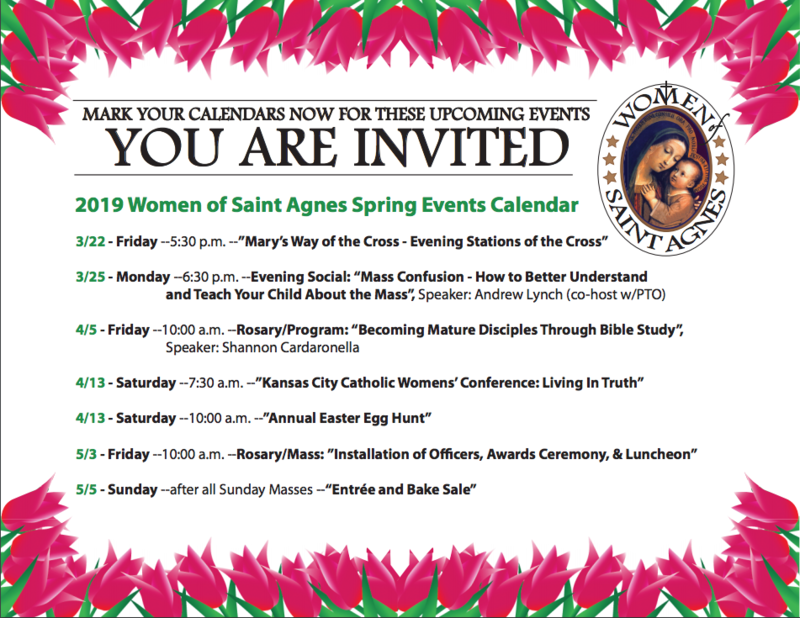 As members of the Altar & Rosary Society, we are also connected to the larger church throughout the world through membership in the Archdiocesan Council of Catholic Women of Kansas City in Kansas and the National Council of Catholic Women. To offer our monthly Rosary and Mass for the deceased members of the Society. To unite women of the parish through spirituality, leadership, and service. To foster and develop activities for the good of the parish. To be responsible for the care of the church and maintenance of the Altar, Sacristy, and vestments. To serve as the medium through which the Catholic women of St. Agnes Parish may speak and act on all matters of Catholic and civic interest through the Archdiocesan and National Council of Catholic Women. The St. Agnes Altar & Rosary Society serves Christ and the Parish. 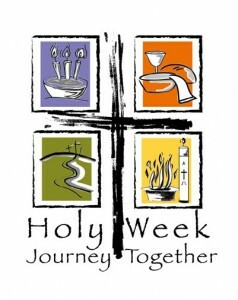 We pray for its members, living and deceased, the entire parish community, and the worldwide Church. We care for the church by weekly cleanings and through the maintenance of the Altar, the Sacristy, and the vestments. We collect dues and hold various fundraisers to help purchase items such as: altar linens, hosts, and vestments. We provide comfort for family members for the deceased in our parish through the hospitality of funeral lunches. We promote social programs such as Bunko, Bridge, and day trips. We sponsor spiritual and educational programs, including mini-retreats. Within the Altar & Rosary Society, we have many smaller circles of women who meet throughout the month to promote Christian fellowship. 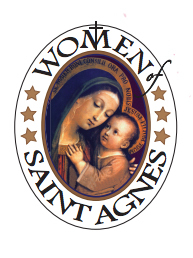 All women of the Parish are considered members of the St. Agnes Altar & Rosary Society. All women are encouraged to become active members by attending the monthly Rosary, Mass, and/or meeting. Membership dues are $12 per year, payable in April. The A&R Society provides a great opportunity to form spiritual friendships and fellowship for women seeking to help the Church, to serve others, and to enhance personal relationships with God. 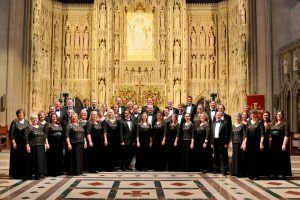 Please consider being an active part of this wonderful treasure of prayer and service. 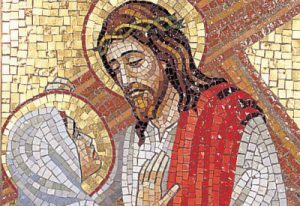 WHEN DO WE MEET?We meet on the first Friday of each month in observance of the First Friday Devotion to the Sacred Heart of Jesus. We meet from August to May of each year. Members pray the Rosary. A meeting follows that enriches the spiritual lives of its members through informative and educational speakers, and concludes with A&R Society business. For more information, please contact Laura Rodgers by EMAIL, or contact the St. Agnes Parish Rectory at 913-262-2400.